China Wedding expo was held from 16th. Jan to 19th. Jan 2018 in Shanghai, this is the great exhibition of wedding gown, evening dress, photo frame and LED lights. This time, Nanguang appear at E1B02 as usually, there were totally 6 topic zone in Nanguang booth, now, let's have some review of this exhibition! The most popular lighting kit is COMBO200*2+P100WII, it is the main lighting in this scene; and we also adpot new RGB lighting to light up the background and rim of the model with colors. Do you want to take photo here? Visit us next time! Nanguang luanched RGB88 in 2017, in this exhibition, we adopeted 2 pcs RGB88 with the studio light CN-P100WII to achieve special lighting effect. 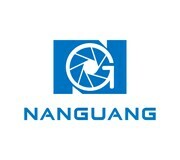 The CRI of natual light is 100, Nanguang CRI is more than 95, it is near to natural light. We set up this studio with COMBO100 and COMBO68 on the ceilling. And add a fresnel light CN-P100WII to create the shadow of the tree. Nanguang Ring light is the most professional one with high CRI and accurate color temperature, we have more than 8 kinds of products for your choice. Above is the detail zone in Nanguang booth. We not only offer customers the LED studio lights in this exhibition, but also supply the lighting and photographic knowledge. Famous photographer Xiaotong is having the photography class in the show.